I’ve always been a W. B. Sebald fan (just check my Warrick Book of the Year Awards if you don’t believe me!) so it was a real treat this week to see the film ‘Patience: After W.B. Sebald’, a doucmentary that traces some of his walking through East Anglia for his wonderful book, The Rings of Saturn, which was on as part of the Melbourne Film Festival. A grainy, mainly black and white, rather creative homage to Sebald and the landscape that inspired and somehow frightened him, I recomend it highly and it did that thing that all good homages do: make you want to go back to the original text and read it again. One Festival that I’ve always wanted to get to is the Watermark Literary Muster; an annual conference set in Northern NSW that always look interesting and always clashes with my own teaching. One of these days … One of these crazy days. It’s the one conference that I think would sit most neatly with my own sense of my own writing and where that all is. At this fifth Muster, writers and readers will celebrate the literature of THE BACKYARD, its nature and natural history and its sense of place. Perhaps your backyard is a quarter acre block, a city courtyard, a sandy beach or a steamy rainforest. Is it the Outback or the Inland – the Red Centre, the Never Never, the Dead Heart? Is the space physical or metaphorical? Is the best writing parochial? Come and join the conversation. This year is all happens between the 17th and 20th of June. 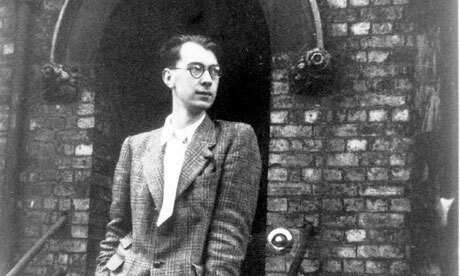 It’s twenty-five years since the death of English poet Philip Larkin, and his city of Hull is putting on Larkin25, a celebration of his work. There’s street sculpture, theatre, readings and more. I didn’t realise that Larkin was particularly connected with any specific city; I just saw him as quintessentially English somehow, but all good writers come from somewhere. They are also trying to raise money for a statue to Larkin at the railway station from ‘The Whitsun Weddings’. I like that idea! I hadn’t thought about Larkin for a while, but I was working with a student last year who was studying Larkin for Literature and we worked through some of those key poems together. They still hold their own, powerful for me in that twilight-y kind of sorrow and remembrance in the tone somehow. The aim is to mark this significant anniversary in a way that is worthy of both the poet and the city with which his creative and professional life is most associated. A lively and diverse programme of exhibitions, events and projects inspired by Larkin’s life and work and his passionate love of poetry, music, photography and prose will engage residents and visitors alike in a range of arts activity and cultural events. The quality of the commemorative events will be world class, worthy of a great, internationally renowned, poet and of his adopted city. Using Larkin’s artistic achievements as a catalyst, Larkin25 will present spectacular city centre celebrations, new work commissioned specifically for the festival, readings, lectures, and a high quality programme of performances and exhibitions. Larkin25 presents a unique opportunity to take a first look at Larkin, or to take another look at the life and work of this brilliant and complex man. We invite the world to participate in, and enjoy, what promises to be a remarkable year of commemorative activities. ASAL (Association for the Study of Ausralian Literature) are organising a mini-conference on the Melbourne poet Vincent Buckley next week coinciding with the launch of two books, Journey Without Arrival; the life and writing of Vincent Buckley (Australian Scholarly Publishing) and a new Collected Poems published by John Leonard Press, a new publisher doing some good things in poetry publishing. I was fortunate enough to hear Vincent Buckley read at the University of Melbourne many years ago , I think at the launch of Late Winter Child in 1979 and always liked his work. I’m going to try to be there next Wednesday (11/2) for the launch. And by the way isn’t it scandalous the lack of resources about and for Australian poetry on the web. The small picture of Buckley above is about the only image I could find online. Coming up in May, the fifth Emerging Writer Festival, to be held in Melbourne. There’s a nice section on their website where they ask all the speakers the question; ‘Where do you write?’. The answers are rich and various. I haven’t heard of lots of these writers, but I guess that’s the point. In other writing festivals, attendees go to listen to writer’s talk, at the Emerging Writers festival you come along to talk to writers. The EWF prides itself on creating an event for writers to join together, to improve their craft, to expand their networks and to be inspired by each other. This year will be an exciting combination of panels on the art of being a writer, the craft of being a writer and examinations on how to get ahead in the business of being a writer, regardless of what style of writing you are doing. Details are now available online about the forthcoming Poetry is Everywhere Conference to be held at Castlemaine on Thursday 24th April, and book-ending the Australian Poetry Centre Regional Festival: Harmonic Threads. I started work today on what I might say about ‘poetry is everywhere’.